There are two ways to apply. Option 1: To receive a Gator 1 �Retiree� ID card prior to your official retirement, you will need a letter from your Department HR Personnel, verifying your retirement date. 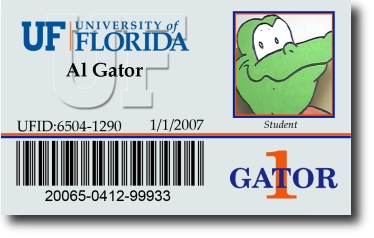 Option 2: To receive a Gator 1 �Retiree� ID card after you have officially applied through UF Human Resources, the customer can call the ID Card Office to verify their retirement status has post in UF Management Directory System before visiting the ID Card Office. This page was last updated on 8/25/2017.